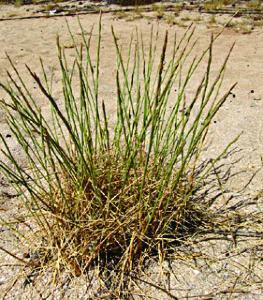 A strongly rhizomatous grass of sand dunes which helps bind the sand together and prevent erosion. Flowers June to July. The seeds fall when ripe but the leaves remain in all but the coldest weather.